OK….it’s Valentine’s Weekend. It’s Sunday. But, of course, you already know that. Whether you meet this day with dreams or dread, it’s coming your way. Now, it can be awfully commercial…there’s no doubt about that. But, don’t let that stop you from celebrating it. Just elevate it. 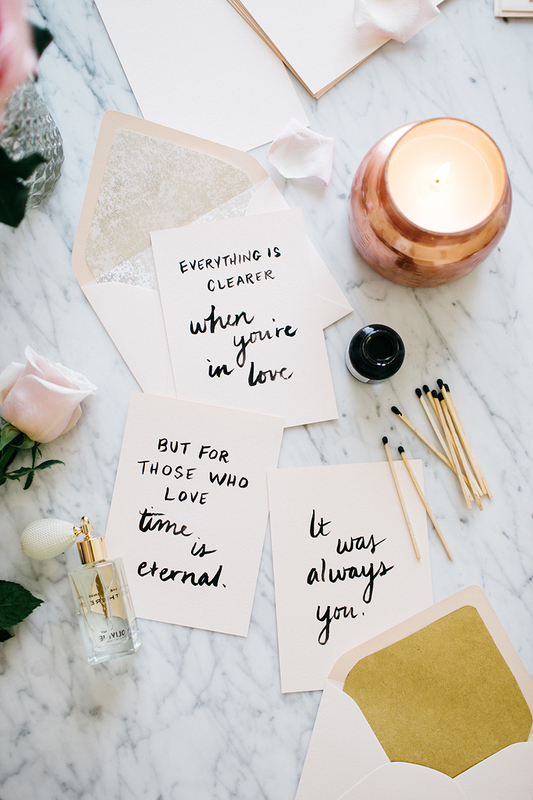 Instead of buying a store bought card, get out your most plain stationery…yes, plain. Now, write a sweet message. From the heart. It doesn’t have to be profound. Just make it personal. Now….spray it with your favorite perfume. The one that whoever opens the envelope will recognize immediately. For me, that means Chloe. Now….drop in some confetti or flower petals. Finally….seal with your kiss on the back. 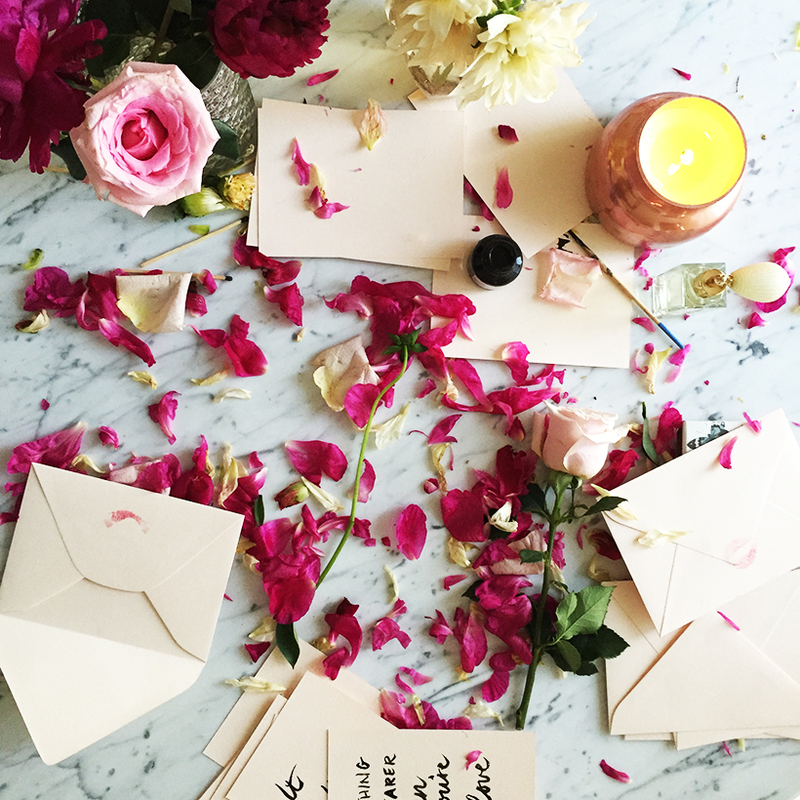 Yes…actually, put on some lipstick and kiss the envelope. Viola….you have a very romantic, personal, inexpensive Valentine. Now….it’s time to make some chocolate. Whaaaaat, you ask? Yes…you can do this. Get a bar, a really quality bar, of dark chocolate that’s at least 70% cacao. Chop it up and melt in the microwave (or in a glass bowl above a pot of boiling water) for 30-60 seconds at a time. Drop it onto some parchment paper in 2 inch rounds. Sprinkle liberally with a mix of healthy add-ons: such as, pistachios, almonds, chia seeds, pepitas, goji berries, blueberries, dried fruit….and let harden. 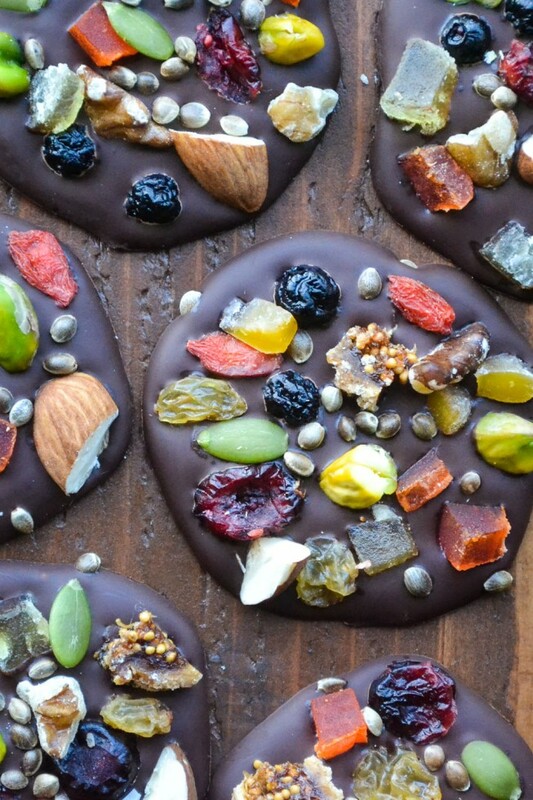 Pop in the fridge for a half hour and you have homemade, healthy, luxurious dark chocolate. Fill a couple of glasses with some bubbly…and you have a full fledged Valentine’s celebration. Sadly, my big Valentine will be on another continent, but I’ll be celebrating with my little Valentines. So, it might be dark chocolate and hot cocoa…but I know it will be fun. Wishing you loads of love, leisure and romance this weekend!